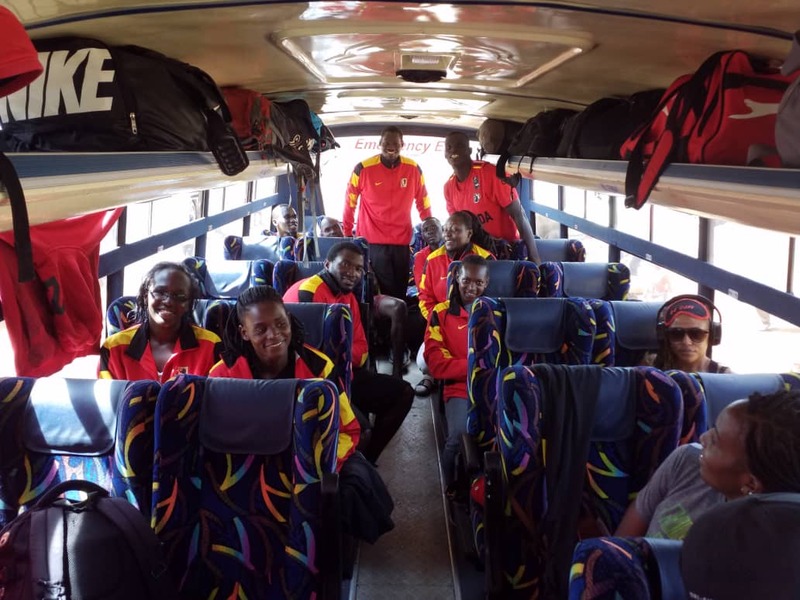 KAMPALA – The National basketball team, both women and men have set off to Kenya for friendly encounters ahead of the 2019 Africa Cup of Nations and the Continental Championships. Kenya is set to face Uganda’s senior men’s side-the Silverbacks and women’s Gazelles in the games scheduled to be played this Saturday at Nyayo Stadium in Nairobi. The buildup games are meant to prepare the teams for the 2019 Africa Cup of Nations and the African Championships. The Teams are expected to arrive in Nairobi later in the evening, around 8 pm and they will conduct simple training drills on Friday before the D-day on Saturday. Stephen Omony (City Oilers) and Flavia ‘Flirsh’ Oketcho will captain the Silverbacks and Gazelles respectively. Both teams are made up of ten players each and all are locally based play in the National Basketball league. Against Kenya, Uganda will face familiar faces like Desmond Blacio (Cobras, Australia), Brian Namake (JKL Dolphins, Uganda) and Philip Ameny (Betway Power). Ali Mavita (KCCA) and Nicholas Natuhereza (UCU) will be in charge of the Gazelles while Mandy Juruni will head the Silverbacks. Jimmy Enabu (City Oilers), Joseph Ikong (Betway Power), Mark Okidi Opiyo (Warriors), Syrus Kiviiri (Warriors), Ben Komakech (City Oilers), Stephen Omony (City Oilers), Geoffrey Soro (Betway Power), James Okello (City Oilers), Joseph Chuma (KIU Titans), Stanley Mugerwa (Warriors) and Innocent Ochera (Ndejja). Flavia Oketcho (JKL), Sylvia Nakazibwe (KCCA), Rita Imanishimwe (JKL), Ekon Brenda (Nkumba), Judith Nansobya (KCCA), Jamila Nansikombi (JKL), Zainah Lokwameri (UCU), Sarah Ageno (UCU), Hope Akello (JKL) and Martha Soigi (KCCA).